Mossy Boulders - Legends Landscape Supply Inc. There are some quarry products that look great no matter how or where you use them. When you see the mossy boulders we offer, we’re sure you’ll feel the same way we do – you could use them just about anywhere. And you’ll want to. 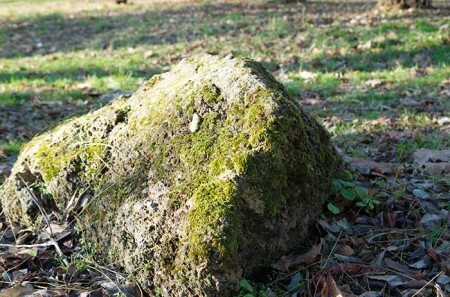 Mossy boulders are a great addition to any garden with regularly shaded areas. Come by our showroom and take a look at some of the boulders we have in stock. Big or small, many or few, we can help you find exactly what you need.